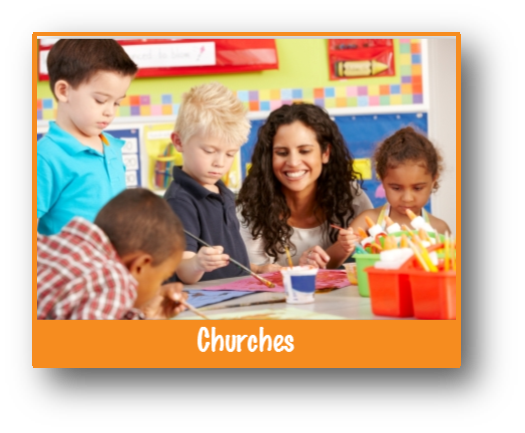 Our church fundraising program is perfect for your church or private school.Do you need to build a new room or wing for educational programs? Are you looking to bring younger families into your congregation? Few among us can resist art created by a child, especially if it’s as affordable as the coffee mugs, mouse pads, ceramic tiles, t-shirts, etc. on which they appear. In addition to raising much needed funds, a program from Original Works also promotes children’s creativity and self-esteem. Original Works’ art creation/preservation items when used as a private school or church fundraiser more than likely are different than anything your church has ever offered to members of your congregation.This is not your typical school fundraiser of candy, wrapping paper and so on. We take the original art work created by your congregation’s youth during Sunday school and other activities and turn it into coffee mugs, computer pads, calendar, etc. and make these items available to the parents, grandparents and even friends of the children.We believe our Original Works fundraising program will provide a terrific way to raise funds for your congregation’s youth programs. Children in your congregation create artwork – perhaps as part of one of their religious education or youth group classes. We provide free paper, art lesson plans, and marketing materials so that your volunteer leaders can focus on creating the artwork. Once the children complete their art, it is sent home in a Parent Packet, which consists of the artwork, a color product brochure, order form and a customized letter that describes the program to the children and parents. Parents and children place orders for a variety of quality products featuring their very own artwork. What types of items can parents, grandparents, aunts, uncles and others purchase? Magnets, coffee mugs, tiles, mouse pads, t-shirts, and nearly two dozen other products. Click here to view our Product Gallery. The turnaround time on orders placed through our Original Program is just 12 days, and you earn a full 33% profit on all orders placed.